Despite being brought up on a diet of southern Chinese cooking, I do not naturally gravitate towards the cuisine. Back in Auckland, both my Asian and especially, non Asian friends ALWAYS love to catch up over dim sum. Why???!! The clattering of plates, trolleys whizzing up and down, noise levels so high that we often ended up shouting at each other. Seriously, how is this relaxing? Give me a cafe any day. Lil L has been haranguing me for months to take her to dim sum and I finally capitulated to her pleas. Despite having never lived in Asia, this young foodie is addicted to all Asian food (yes, durian, tripe, dragon fruit, frog etc etc... all those yucky stuff I don't eat. EVER). I've heard about Pearl Liang for years now but never attempted to visit the place as it's out of my way. I had to book days beforehand as it's always chock-full. If you're taking the tube, make sure you get off at the Paddington national rail exit or else it's an unnecessary long walk especially if you're rushing to get there on time. Now let's talk about the food. It. Was. DIVINE. 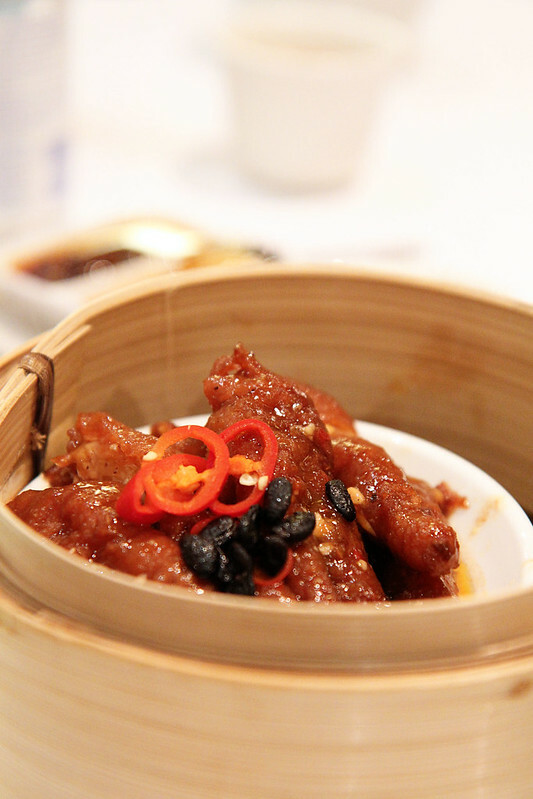 Yes, this is a verdict from a girl who avoids dim sum like the plague. 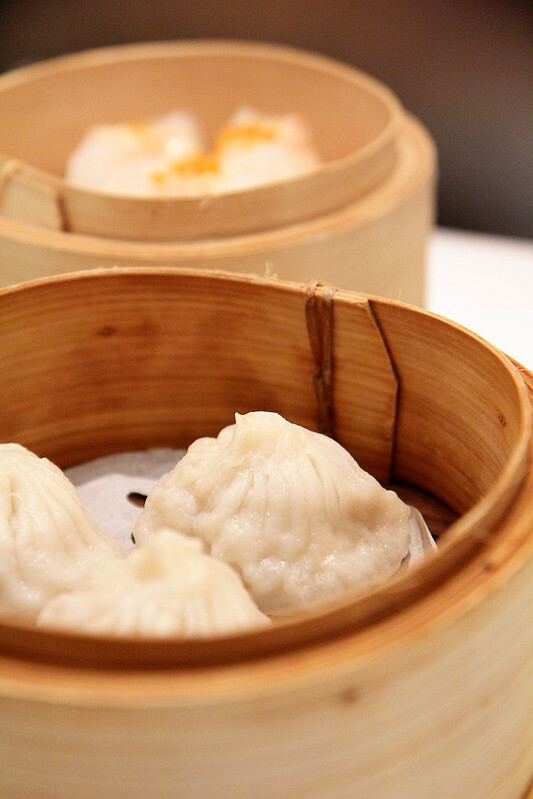 The Xiao Long Bao was succulent and we slurped the tasty soup that seeped out of the dumpling. 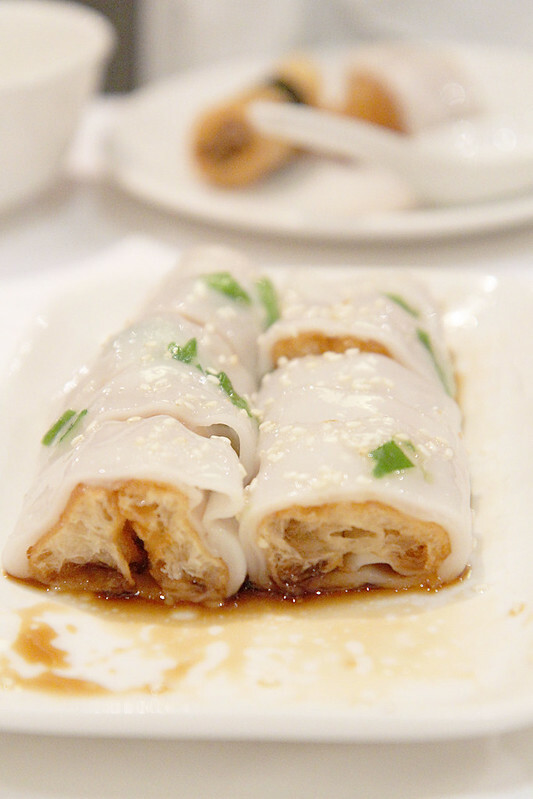 The You Tiao (dough stick) inside the cheong fun (rice noodle roll) was crunchy and tasty without being overly oily. It didn't taste as if they'd re-used the oil. The egg tart was piping hot and crunchy but the pastry.... oh my word the pastry....it was buttery and melt in your mouth goodness. Every dumpling was beautifully made but the taste was just out of this world. Our bill came in just under £40 for 9 dishes, tea and service charge. Oh, and most importantly, I love their quirky toilets and they're unbelievably clean (if you've been to enough Chinese restaurants, you'll know that their toilets are....... a sight to behold. And I don't mean that in a positive way). Looks wonderful. Menu looks very different to others I have seen. Westwards I will go. 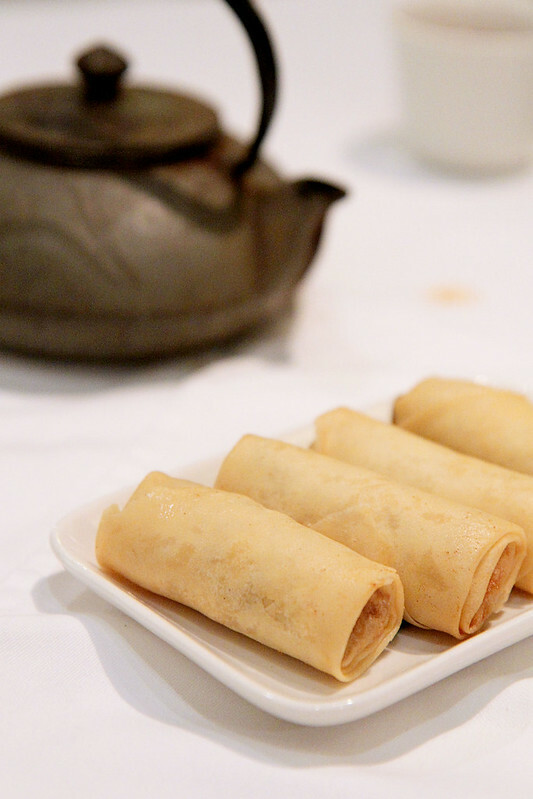 Have you tried Silk Road in Camberwell? I haven't heard of Silk Road. Let me google the place. Ah, I can't imagine not liking dim sum! It's one of my favourites and these photos are seriously making me drool. YUM. Marlene, you are more like me than you know - I don't do the weird stuff either but I do love some nice dim sum. Grumps often says he's more Chinese than me as he tackles a chickens foot. Whew. Another Chinese like me. I actually hurled in Guangzhou when I saw all the animals being skinned and chopped up. I nearly did the same when friends (yes, some were Caucasians) were gnawing on chicken feet. I actually quite like chicken feet now but it took a while to get over the phobia of eating them. This all looks delicious and reasonably priced too. 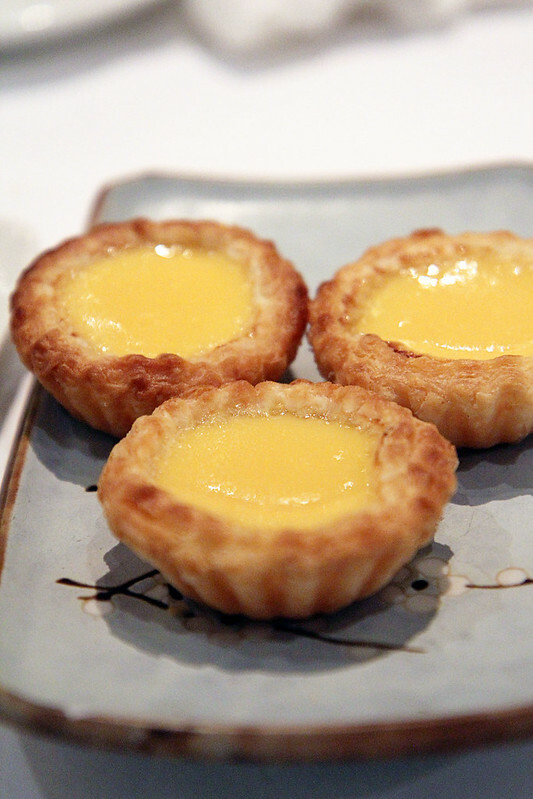 Those egg tarts look cute too! This was my favorite dim sum place in London as well! Good dim sum really is hard to find. I never realized the difference in quality until I had dim sum in Hong Kong and realized it was far better than many places in NY and Singapore. This place I have definitely put it down on my must stops when visiting London next time around. Yum yum! I'll check this place out. The last time I had some really good dim sum in central London was at Ping Pong, 29a James Street, London, W1U 1DZ but in all honesty I haven't been out this year, so I'm well overdue a fix somewhere for some tasty dim sum! 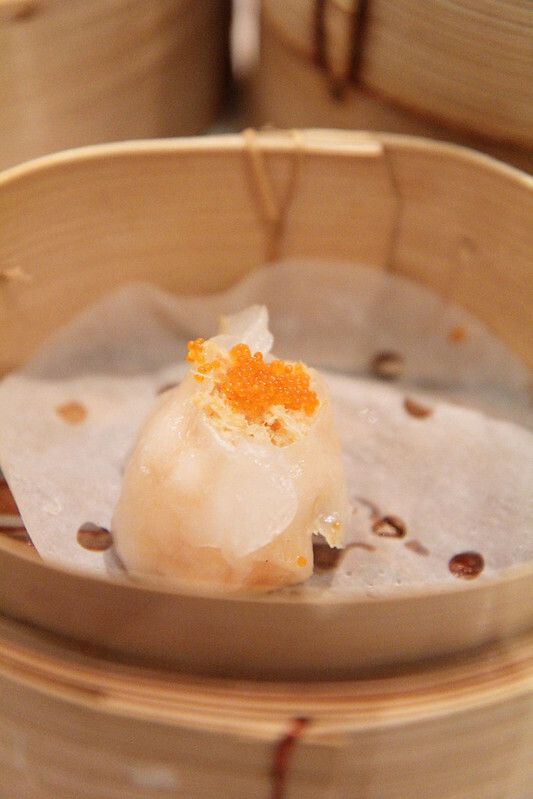 I think you'll find the dim sum even better at Pearl Liang. And cheaper too. I was pretty darned impressed considering that I've had plenty in Hong Kong.